This topic contains 13 replies, has 5 voices, and was last updated by Nicole 4 years ago. amounts for two different fabrics?? 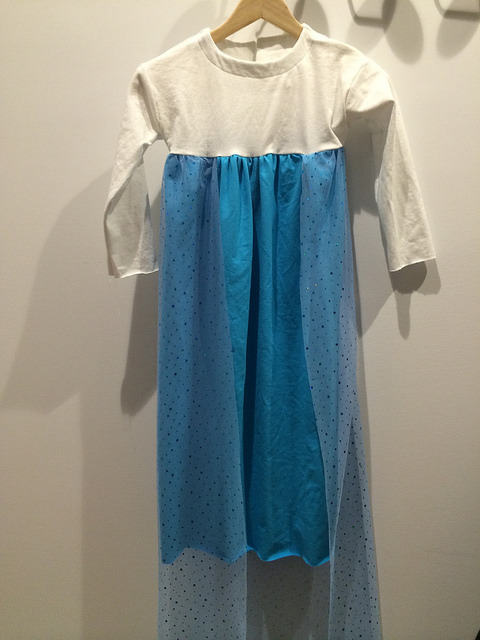 I’m planning on the playtime dress in knit for a girls nightgown, I want to use a white knit on top and blue on the bottom (can you guess why??). The question is how much of each of the two colors to buy? In size 7 it says 1 3/4 yards for a knit total. I would also like to lengthen the skirt about 2-4 inches. I think your best bet would be to trace your pieces off with the extra length and lay them out to determine how much of each. And remember to add just a little as knits will shrink. Good luck! You will love this pattern. It is no ordinary t-shirt dress. The shoulders have such a great shape. I have a step by step tute for the dress but as it is for a nightie I wonder if you could cut the back bodice on a centre fold and use ribbing for the neck ? Where is the tutorial? I would love to read it before I start! Say more about the mod… when you say ribbing for the neck do you mean the neckband and that would make it sufficiently stretchy? I would like to avoid the buttons since it is for a nightie but was unsure about how to do it. Here is my tute http://www.pinterest.com/pin/73676143878416947/, it is a great sew. I would wonder if you sewed the shoulders seams and then checked by pulling it over your little ones head (you may need to cut the neck opening a bit bigger) if you used ribbing, like a t-shirt neck? lovely! the fabric is great. The sleeve construction is very interesting! this is a gift for a little one who lives far away, though I do have two much younger but very big headed kids of my own that might make appropriate head models, I will ask her mom to send her head measurement as well. I made one with the back cut on the fold. I also traced the neckline from a tshirt pattern (MIP Basic Tee). It goes over the head okay? I have to finish the hem and then send it off. My 3 year old (boy) saw it and tried it one for me, hilariously cute!